For many, a Georgia Tech degree all but guarantees a desirable job after graduation. Students of certain majors walk the stage to find a horde of eager employers waiting on the other side, while those from smaller, less visible majors are often met with nothing. 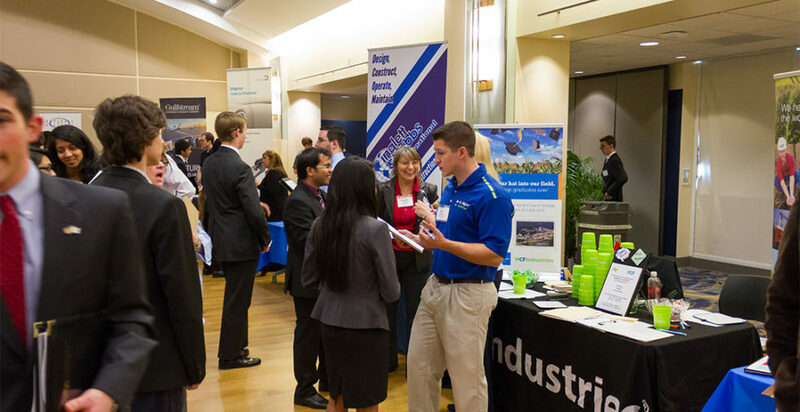 Companies that attend Tech’s “All Majors” career fair are not necessarily on the hunt for students from all majors. It’s no secret that our programs like Mechanical Engineering or Industrial Engineering are top notch; Recruiters, then, use the Institute as a funnel for a steady supply of new hires in those areas. If the Institute has not done a good job of advertising its LMC program, for example, these companies will not come to an “All Majors” career fair looking for LMC students. This is a problem that a once-fledgling Computer Science program had to deal with, and their solution could easily be replicated in other departments. Instead of sending Computer Science majors into a general career fair, the College of Computing started to put on its own. Now, companies spend four days each semester specifically courting new hires in the computing field. Although the Scheller College of Business has not gone that far, they still have a dedicated Office of Career Serives to help with job placement. Many majors in the Ivan Allen College of Liberal Arts, as an example, do not have this infrastructure and will often leave Tech without plans for a career. Tech needs to do a better job of advertising these programs to employers, many of whom have no idea what Computational Media or History, Technology and Society mean. Until there is a healthy pool of employers seeking non-engineers from Tech, students in other disciplines will continue to find themselves at a disadvantage. It is true that there is a higher demand for graduates in STEM fields than in other disciplines, and this is especially true at an engineering school like Tech. This does not mean that Tech should leave the rest of their students out to dry, however. This problem extends to Tech’s graduate student population as well; As enrollment in our non-STEM graduate prorams increases, their representation in career-building events like Tech’s Career, Research and Innovation Development Conference should increase to match it. Otherwise, poor job placement rates could drive students away from these programs, or even Tech as a whole.